We appreciate that supporting our community is at the heart of what we do. We believe it's an integral part of what makes us who we are. Fundamental, essential, it's in our genes. Decades before Mr Cameron talked of the Big Society, Michael Tyler was encouraging his team to always give back to the local communities that support our business. As you can probably guess, however, with this, as in everything at Tylers, we like to do it a bit differently. Certainly we have a number of local and international good causes that are close to our heart - Shelter, Jimmy's Nightshelter, Tearfund - and love the fundraising challenges they bring. Whether it's running marathons or climbing mountains this is the high-profile stuff that hits the headlines. But perhaps more importantly, we also like operating "beneath the surface", quietly manning, planning and physically supporting events that promote good community spirit. Events that help knit society together, building strong foundations for our local areas. 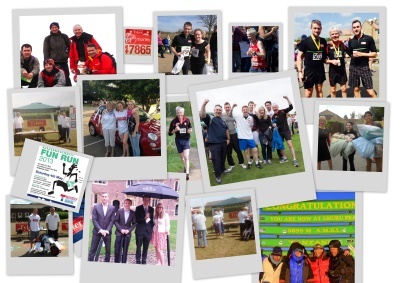 From presentations at local schools to fun runs, fund-raising at school fetes to litter picking on a Saturday morning, regular evening cycling rides through the summer to "It's a Knockout" challenges raising money for local youth facilities, we like to get involved for a good cause no matter how big or small the task. The benefits to us are two-fold; supporting the community in which we live and work and deepening the relationships between team members - team building. People that work side by side through the day work better and more enjoyably when they've spent time participating in a good cause out of work. Great memories are created - few who were there will ever forget Alistair's battle dance before our team took part in the highly successful IAK event last summer! So we're always on the lookout for future events to support. Not just financially, but comprehensively supporting using our skills, labour and enthusiasm. Because at a Tylers we never forget that we're serving a community - our community - and can only get out what we've already put in.